What's On Cool Places to Visit Did You Know? Is science your worst subject at school? You’ll see it in a whole new light if you visit the Science Museum in London. Stone in the making Great for nature SSSSSh - its secret! The rocks that make your home, school and roads come from quarries. Find out how they were formed at the National Stone Centre. What happens to quarries when we’re finished with them? Many become great places for birds and nature What’s around us all the time and can be millions of years old? No, it’s not our grandparents! Find out about the secret lives of rocks here. Drive a passenger train, operate a water wheel and learn about everyday products that come from quarries at Snibston Discovery Park. 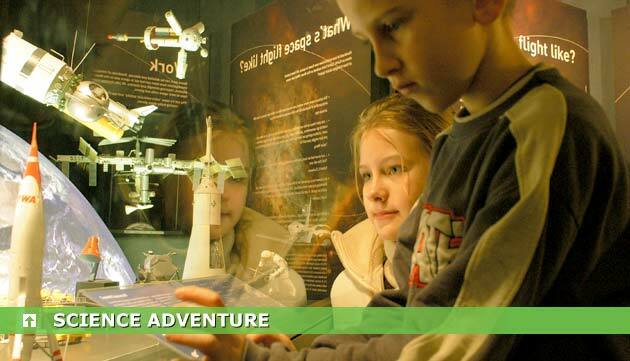 For a fun and educational school trip in the south west, you can’t get beat the Somerset Earth Science Centre. The United Nations General Assembly declared 2013 as the International Year of Water Cooperation - find out more here.